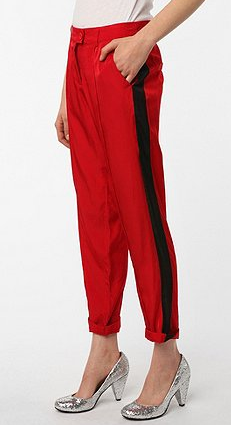 I know I recently said I'm over red pants, but these are fab tuxdeo! I love tux pants, but usually the side strip kinda blends in - not with these. Best of all, they're an affordable $69 at Urban Outfitters.